In 1964, Malta gained independence from Great Britain. 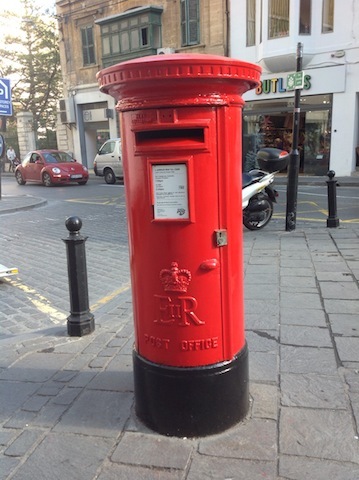 Some things still bear witness to that British colonial time, such as this mailbox. We had stopped at Ta’Quali Crafts Village while on the North Tour bus. This craft centre used to be a WWII military aerodrome and later was converted. 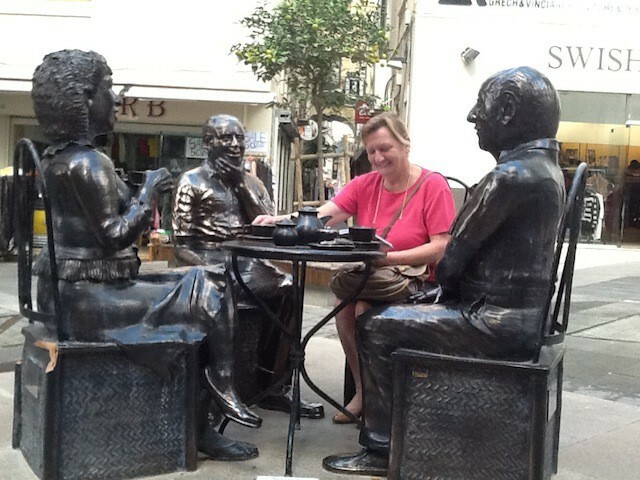 It was worth stopping there if you like to shop and have a refreshment. 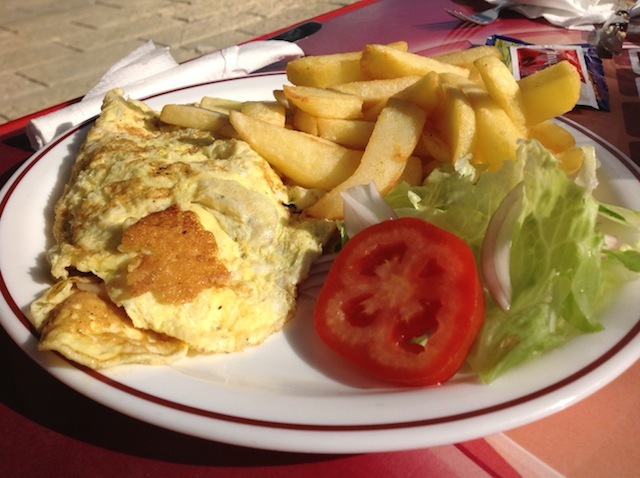 I had ordered a Maltese Omelet, but there was nothing Maltese about it. The seasoning was average and the fries that came with it were definitely British. I had not ordered them, so this accompaniment must be of British heritage. Serve fries with everything. 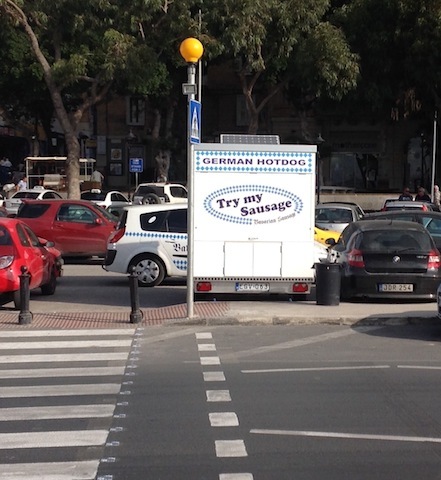 In Valetta, near the bus terminus, this German vendor sells Bratwurst and Currywurst. ‘Try my Sausage’. No thanks. We are here for the Maltese experience. 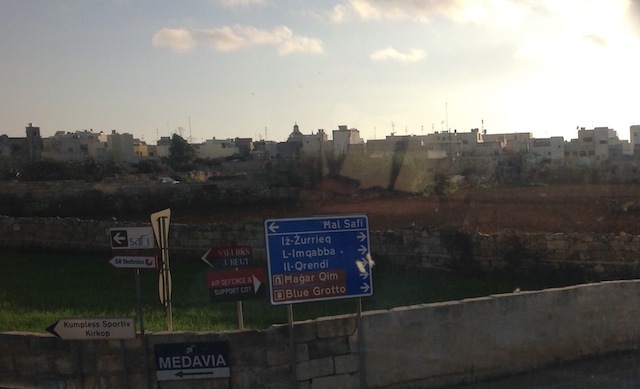 We stopped at Mdina, which is the old capital of Malta and its origins can be traced back to 1500BC. Throughout time, the city had various names, which all depended on the current ruler. 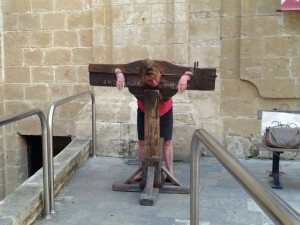 Its medieval name ‘Citta Nobile’ (Noble City) is most fitting because Mdina has one of Europe’s finest examples of an ancient walled city and its extraordinary mix of Baroque and Medieval architecture. My travel companion took this photo and somehow this does resemble someone spirit rapping with a Quija board. But I look much to happy to be calling on spirits, of that kind. Id-dinja tghallmek aktar minn imghallmek. The world teaches you more than your task master. 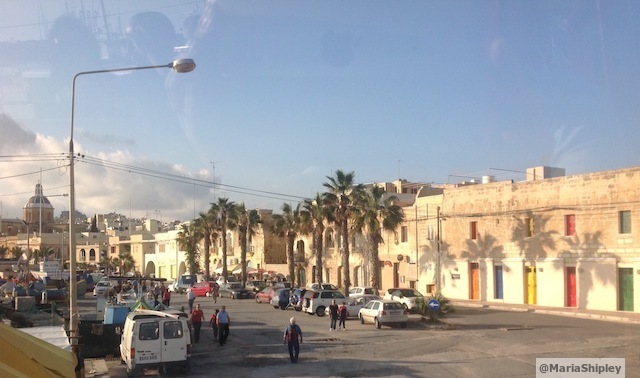 On day two of our visit to Malta, we hopped on the South Tour bus, which runs a total of 2:50h around the southern part of the island. There are 14 stops along the way, and with the nice hop-on/hop-off arrangement, one would expect to see quite a bit. In reality, if you take the bus by 10am, it is advisable to make three stops. The first one is for lunch around noon, then you get on the bus around 1:30 or 2:00, you travel for an hour and get off for sightseeing once more. Wherever you are along the route, you will be able to catch the bus, e.g. 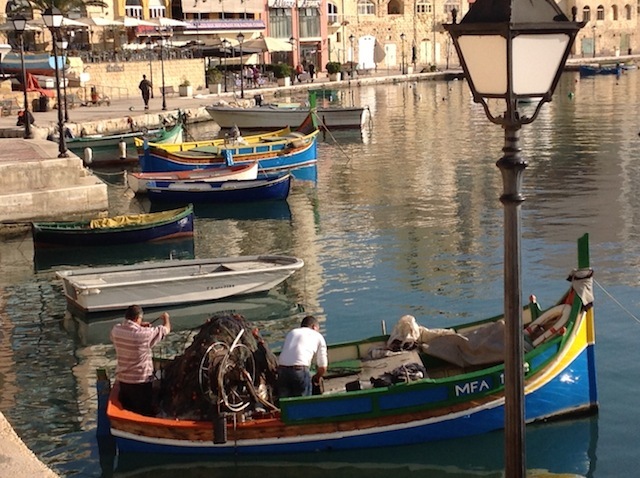 at 15:30 from Marsaxlokk to be back in Valetta by 16:50. The very last bus brings you back by 17:50 (but not on Sundays – check your schedule). Buses were somewhat unreliable, we missed two of them. One did not show up and the other we might have missed, but only if it had come early. Which I doubt. 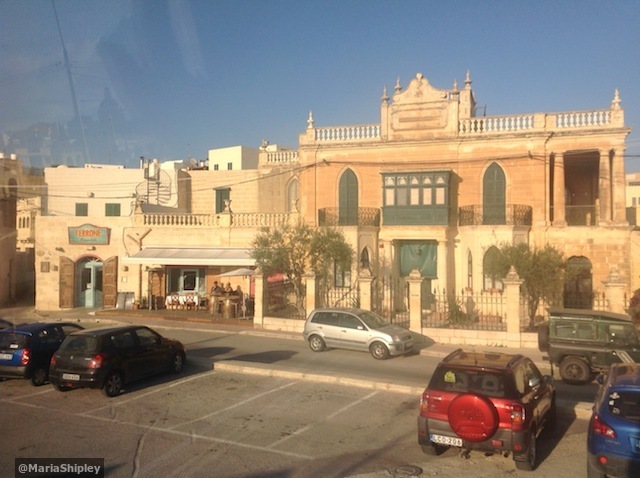 Wish we could have stopped here in Marsaxlokk, but we were already on one of the later buses and we still had plans to see the Blue Grotto. 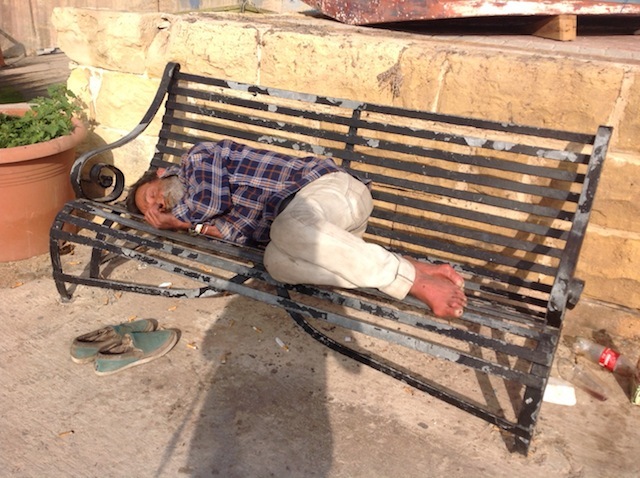 This was at 15:30 in Marsaxlokk. It looks nice and sunny, but it does get dark and cooler around 16:20. The photos were taken from the bus as you can tell by the reflection. 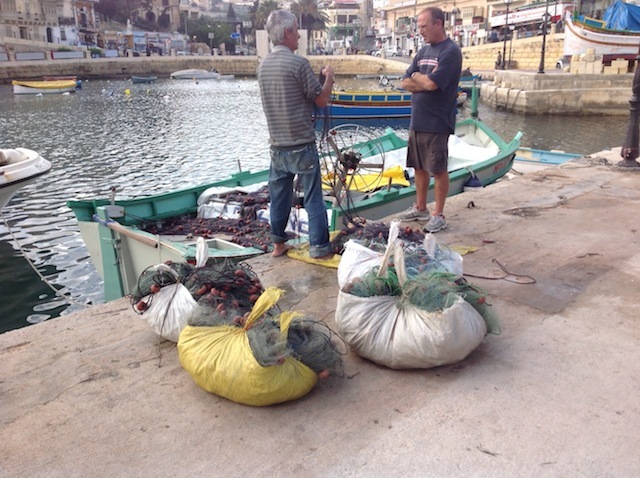 This is an interesting fishing village with lots of vendors along the water promenade. Loved these various colors on their doors and windows. 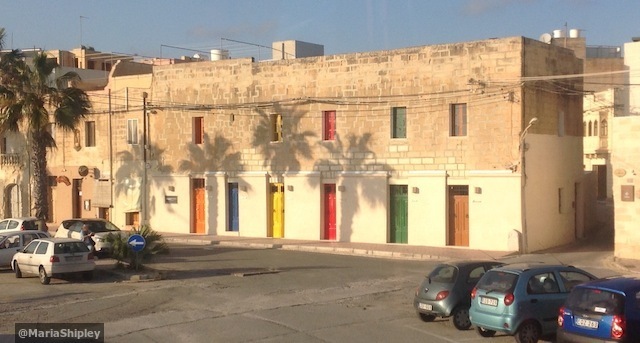 This photo shows the traffic sign for various town names in Maltese. My iPad location told me I took this photo in the area or town of Multigas. Our next stop to get off was the Blue Grotto, of which I have some photos to share in my next post. 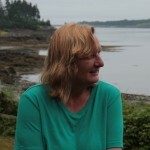 I recommend the bus tour, it is the best way to see the island. The ride is pleasant on these double-deck buses, the bus driver sells beverages, and he will let you off on his route anywhere near your hotel. 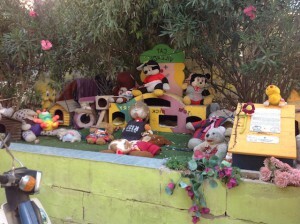 Near our hotel, at the end of the road, we noticed this strange little area of plush animals, dolls, bears, and cat trees and beds. It also had a sign and box asking for donations for this Cat Village. When you looked closer, you could see various real cats nestled among the plus animals. This one I found to be a very interesting composition. 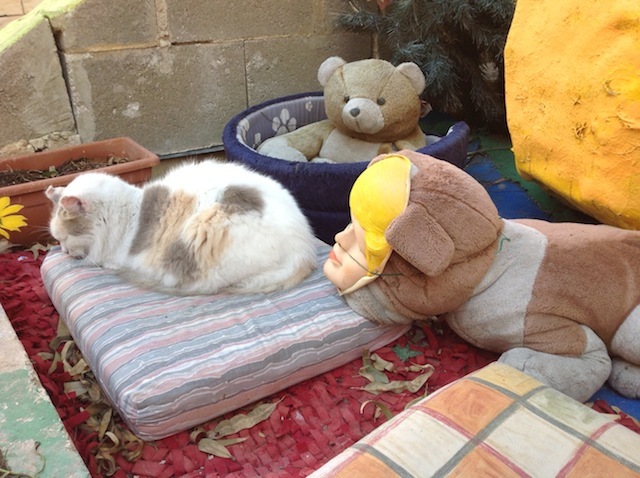 The cats have a good life here, at least in this corner of Malta. Here in St. Julian’s, you see cats everywhere and they look well fed. Occasionally you see a restaurant owner feeding them with fish. At least five cats were always present at breakfast on the terrace. Nobody minded them and they seem quite happy. From cats to men. The local men we saw were mostly fishermen, rugged looking and hard working. A tourist chatting up a fisherman. This one was too tired for a conversation. 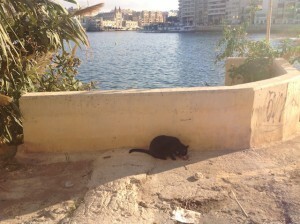 The cats around our hotel and nearby restaurants looked much better fed and groomed than those guys working the seas. One of the first items I researched for my trip to Malta was its local specialties, which listed pastizzi and Kinnie among many other things. 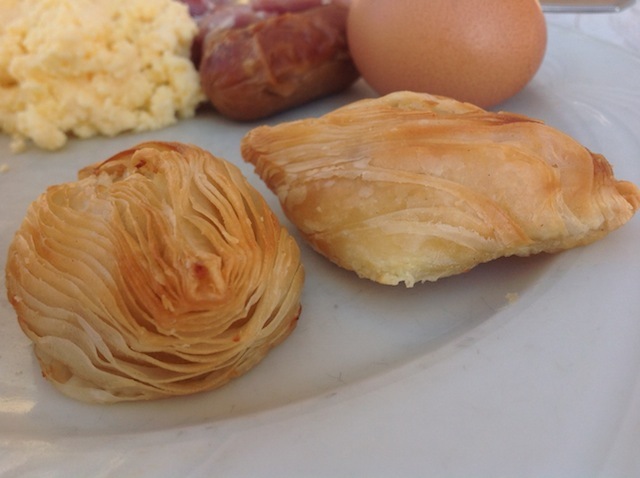 Our hotel, Cavalieri Art Hotel, had pastizzi on the breakfast menu once – these pastries are filled with ricotta cheese, and they were good and filling. 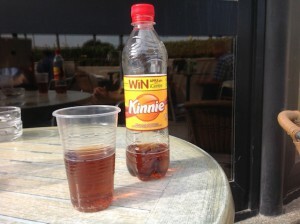 One of the most popular beverages on Malta is the Kinnie, a lemonade made from tart oranges and savory herbs. It was a bit similar in taste to the Austrian Almdudler we get in German supermarkets. Purchased a shot glass as a souvenir. While drinking, we can learn the meaning of the eight points of the Maltese Cross. 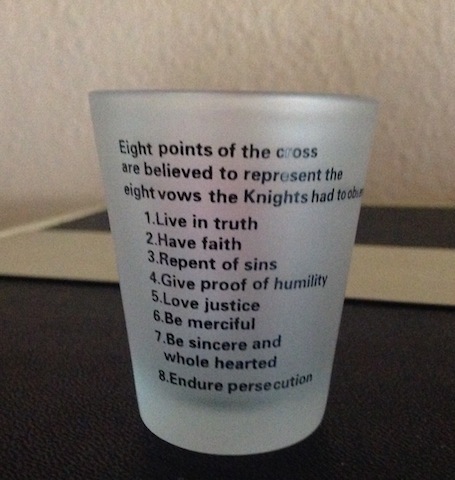 They represent the eight vows the Knights had to observe.